You can find taxis anywhere and everywhere in North Cyprus! They are often to be found dropping off their previous fare, waiting at taxi ranks, at Ercan airport, hotels or casinos, and you can also hail them on the road. In recent years legislation has required the metering of taxis in the major towns, so you should always feel comfortable that you are being charged the going rate. Some of the smaller towns and villages don’t have meters though, so you should always agree a price before departing. Taxi drivers also need to hold a valid license to carry passengers, and they often belong to a private taxi company. You can always book a taxi via your hotel, or there are various companies now offering 24 hour services, although you should book ahead if you expect to be out until the early hours! These days nearly all taxis in North Cyprus are new, the majority being Mercedes, and they all have air-conditioning and maybe even a DVD screen if you’re lucky! There are normally standard rates for airport transfers with most taxi companies, although depending on your final destination the rate you pay may be slightly more. 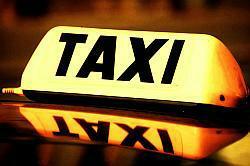 Licensed taxi drivers are a must as you will be protected in case of accidents. Some may argue that if you are travelling from or to an airport in the south of the island it does not make any difference as third party insurance is standard for everyone travelling south of the border, but that’s only half of your journey and you should take your safety seriously. If you are looking to book an airport transfer either from or to Ercan, Larnaca or Paphos airports then we can help you too! We can refer your booking requirements to a licensed and responsible driver who can help at any time of the day or night. Please contact us if we can be of help.